Our professional team of stylists at the salon and spa Delight Work side-by-side with each bride and her wedding party to ensure each person feels and looks their best! Each member of our team is experienced in creating a variety of wedding looks, from classic to Modern. in addition, we will personally select a makeup palette that will reflect your style while enhancing your natural beauty. For parties of three or more, our salon will provide a light breakfast or hors d’oeuvres. 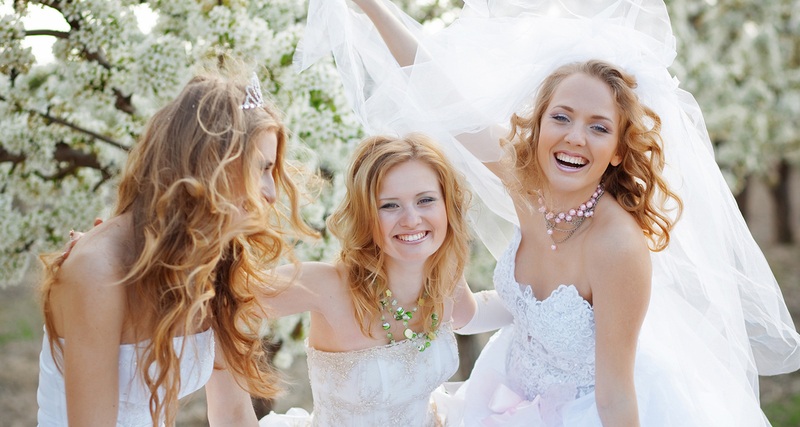 For all bridal parties our salon requires a 50% deposit to secure your wedding date. We do offer onsite services for hair and makeup. Please contact our salon for consultation and pricing. *Prices will vary depending on service provider.